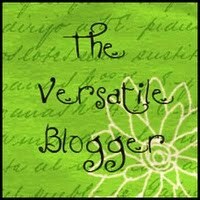 Anne Mackle has kindly nominated me for The Versatile Blogger award. Click on Anne's name to see her blog-I am a big fan and I recommend you have a look at her posts which are always interesting. Thank you Anne for the support you give to my blog and for nominating it for this award (and sorry it's taken me a few weeks to post this). On accepting the award, I have to tell you seven things you don't know about me and I have to nominate seven blogs to pass this award to. 1. I once had a job in the university holidays snipping the end off parsnips in a warehouse. A minibus picked me up from the end of my road at 6am and dropped me back at 7pm. We had to stand around a conveyor belt with a knife and snip the parsnips before putting them on another conveyor belt above. The people I worked with were great fun and we talked incessantly to get ourselves through the day, telling each other stories. Sometimes we'd laugh until we had tears running down our faces. 2. I lived in Grenoble for 5 months in 1993/4 as part of a French and Italian degree. Me and three girls from my university were in rooms next to each other in a Hall of Residence half way up what we called 'the mountain'. It was very steep and it would take a good half hour to walk up it. Our rooms were damp and the only equipment in the kitchen was a hotplate. We could see Mont Blanc out of our bedroom windows and a cable car passed us on the way up to a castle on top of the mountain. We didn't have a fridge so we hung our food in carrier bags outside on the handles which opened our windows. We had the best time though and went out most nights to bars in Grenoble where we ordered jugs of beer with our student budgets. 3. I once did a Secretarial course but never worked as a secretary. After university I had no idea what to do with a language degree so I got a loan and did a three month course at a secretarial college in South Kensington, London. I learnt shorthand and touch typing. 6. I love cheese. My favourites are Brie, Gorgonzola and Manchego. 7. I am a fan of 'just being'. I love going out and seeing my friends but sometimes I think everything can get a bit too organised and hectic. Thank you for your kind words Anita. Italy sounded a fun time and when you're young and carefree you don't really care if you have a fridge or not. I don't fancy the parsnip job, lucky you had nice co- workers to pass the time. I've enjoyed finding out more about you and glad I passed the award to you. Oops, forgot to say that Grenoble is in France. Thanks for your lovely comment Anne. You're right-it didn't matter that there wasn't a fridge. 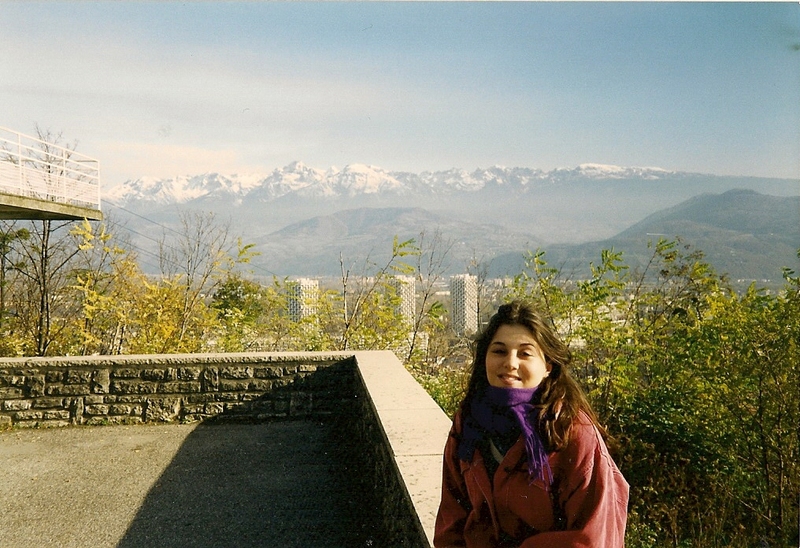 The view of Grenoble at night all lit up was amazing and it was an exciting few months. I, too, love Manchego cheese. So far, I've associated you with Italy. It's interesting to see your French connection. Hi Liz, thanks for your comment. Love manchego cheese and know of a tapas place where they deep-fry it-v unhealthy but incredibly delicious! Congrats on the award, Anita! Really interesting facts - snipping parsnips ... that must have been something! I am also a fan of 'just being'. I hate organising things. I'm a fly-by-the-seat-of-my-pants kinda gal. Hello, thanks for your comment. Snipping parsnips was just one of the jobs I did with that company-also did daffodil packing (where had to count out boxes of 80-doubt many of those boxes had 80 daffodils in them) and flower bulb packing. Congrats on the award! I ended up working as a secretary while I was in college. I got bored a lot at that job.